The novel your book club must discuss! 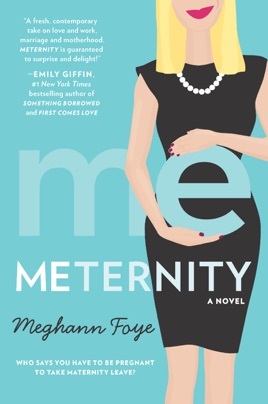 Meghann Foye was interviewed on The TODAY Show and The View regarding her new book Meternity. As her "due date" approaches, Liz is exhausted—and exhilarated—by the ruse, the guilt and the feelings brought on by a totally fictional belly-tenant…about happiness, success, family and the nature of love. At age 31, Liz Buckley has already accomplished three of her goals: living in New York, being an editor at a magazine, and learning French, which she never uses. 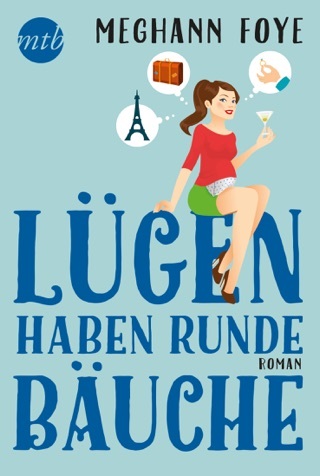 But she's exhausted from the pressure of her Upper East Side nemesis, Alix Stephenson: her boss at baby magazine Paddy Cakes, who has kept her from getting to the other 17 goals which include meeting a PH (potential husband), getting married, and having kids. So when a mix-up involving a pair of comfortable maternity jeans leads Alix to believe Liz is pregnant, she decides to go with it. After all, it seems like "having a child is really the only excuse a woman can use to work regular hours or leave early." With the help of her friends and progressively bigger memory-foam bumps, Liz plans on taking a "meternity" leave some time off to figure out what she wants. In the midst of juggling this lie and questioning her life, she meets Ryan Murphy, who just might be the PH she's looking for. Readers will be turning the pages and rooting for Liz, knowing that even though no baby is coming out, the truth eventually will.